Home » Technology » How to Export Outlook Contacts to Google Contacts? How to Export Outlook Contacts to Google Contacts? Microsoft Outlook is the most popular email application which is commonly used at the business level. This desktop-based application is also used for personal requirements based on an individuals requirement. On the other hand, Gmail is a web-based application which is free of cost. In addition to that, Gmail is commonly used, as it is compatible also on Android devices. Considering the business point of view, it is necessary to have Outlook contacts synced to the Gmail account. In order to have permanent access to Outlook contacts most of the user is in search of a free manual-based solution. This blog helps to understand the process to export Outlook contacts to Google contacts. From the above user queries, it is clear that Outlook contacts are always important to the user. Also, it is observed that users hardly find some solution to transfer Outlook contacts to vCard queries which sometimes are incomplete and not a well-mannered approach. By understanding all these, this blog discloses the various methods to add Outlook contacts to Google with its respective solutions. 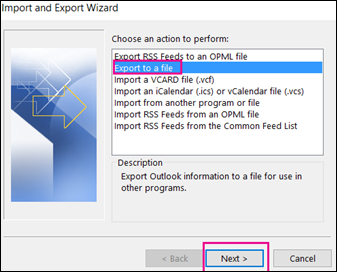 From the Select folder to export from option, select the folder to export. Outlook being a desktop-based application cannot be synced on smartphones for an easy access. Due to this drawback, the user has the only option to export its Outlook contacts to Gmail for a compatible access. 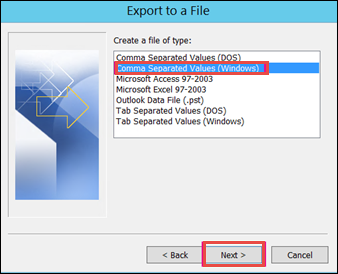 This article mainly describes on how to export Outlook contacts manually. If the manual method proves to be fatal, then one can make use of SysTools vCard Export tool. It is an ultimate solution to export Outlook contacts into vCard, WAB, Google and Yahoo CSV file formats. It can also import Outlook contacts to any cloud service like GSuite, Office 365, iCloud. Also, a copy of Outlook contacts is created in WAB which can be accessed without Outlook Express. By understanding the requirement of various user queries, the above article mentions the techniques to add Outlook contacts to Google account. Based on the complexity of the file, the manual approach may tend to fail. This can be resolved using the vCard Export tool. This automated tool not only export Outlook contacts to Google contacts but also can be previewed in the vCard format including its attributes.